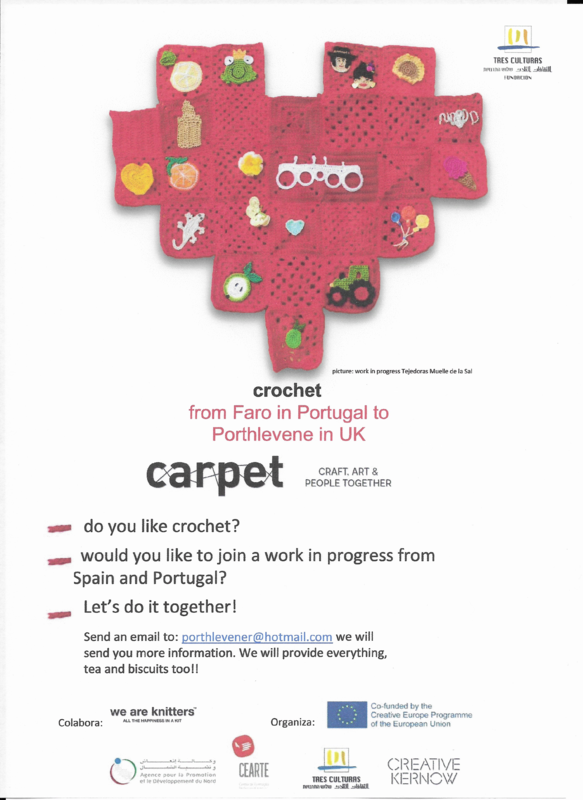 Krowji-based mixed media artist Marie Magor is working on an international crochet project organised by Fundacion Tres Culturas Del Mediterraneo. 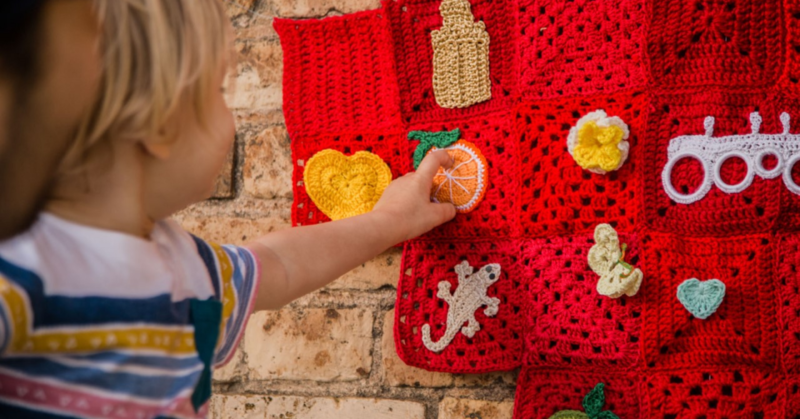 The piece of crocheted community artwork started in Spain, travelled to Portugal and now comes to Cornwall, returning to Spain in June to be exhibited. If you’d like to join in with the project, workshops are being held on Monday 1st and 8th April 1.30pm to 3.30 pm at St Andrews Church, Redruth and Thursday 28th March and 11th April 1pm to 4 pm Fore Street Chapel, Porthleven. See Poster for more information.